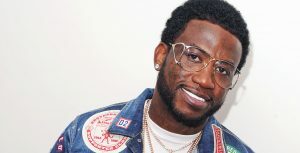 Gucci Mane has seemingly been walking a straight path after his release from prison, but now the mother of his son, Keitheon, wants him back behind bars. According People, Sheena Evans wants Gucci locked down for allegedly failing to cover her $2,500 lawyer fees even after the court ordered him to pay up. “Not only has the Respondent demonstrated that he has no concern for the authority of this Court, or for the deadlines set by this Court, Respondent has also exhibited an alarming disregard of the consequences of his contemptuous behavior. He could care less,” Evans’ attorney says in Evans’ motions for complaint and sanctions filed in Georgia’s Superior Court of Fulton County.